VIDAESAL offers its design service, integrated manufacturing and assembly of all types of kitchens, doors, wardrobes, furniture and other projects. In our store you will find a wide range of kitchens on display, we also display door models and you can view our catalogues of kitchen furniture, accessories and appliances. 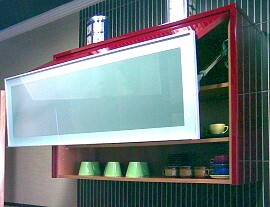 In our workshop we have the equipment and expertise to carry out any carpentry work and custom fabrication for your project, your kitchen, wardrobe or door and we ensure proper installation and a perfect finish to all our kitchens and furniture in general. 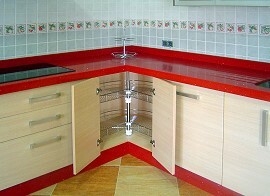 To plan and complete your custom-made kitchen we will prepare a project according to your wishes. 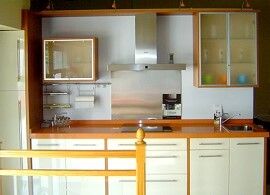 Ask for a quote with no obligation by providing a rough sketch of the measurements of your kitchen. or phone (+34) 952 51 71 72. The projects shown here are only part of the wide variety of models, colours and styles that can always be varied to suit the needs and tastes of our customers.